It’s no secret that the level of attention that went into the selection of landmarks, as well as the attention to detail, for each of the pavilions in World Showcase was monumental. In fact, the story of each pavilion was so intricate, from the choice of restaurants, to decor, and even to the placement of the pavilion, that Cast Members had manuals dedicated to the individual pavilions that they worked in when EPCOT Center opened in 1982. 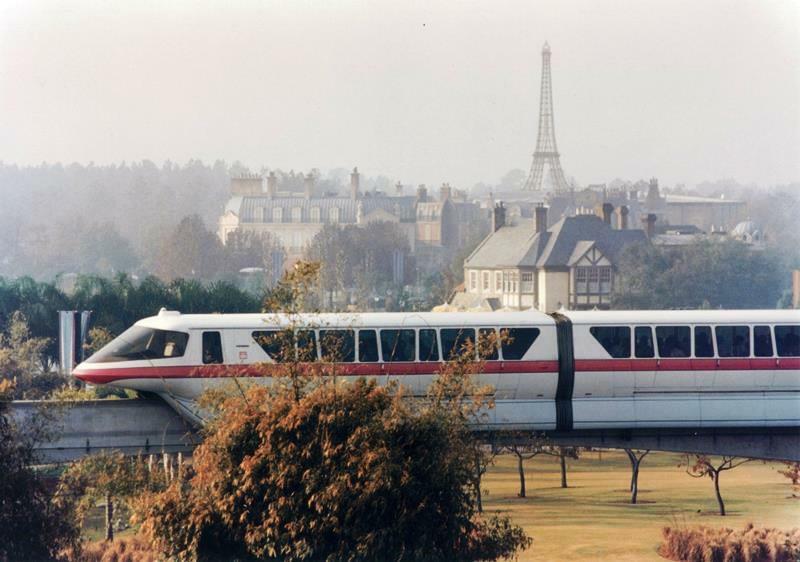 The design stories from France are, if not my favorite, amongst a very short list from around World Showcase. I could pull out a couple of details for you, but why not give you a chance to read some of it for yourself? “One of his goals was to provide a historical stretch of French architecture, representing several styles and influences. Our provincial street, La Pétit Rue, could have been built in the 1600’s, while the chateau façade of La Signature recalls those grand country estates of the 1700’s. Parisian architecture is best remembered for its structures built in La Bell Époque, or the beautiful age, those years between 1850 and 1900. “An earlier concept was to re-create the Place du Tetre, the artists’ colony up near the cathedral of Sacré-Coeur, but we found that the Sacré-Coeur would have dominated the skyline too much, and hence, decided on our symbol and exclamation point provided by the Eiffel Tower. “From the outset, we thought it was only appropriate that France should reside near a river in order to provide atmosphere of Paris on the Seine. After securing the pavilion’s site, Au Petit Café was relocated from the west side to its present location. The move gave us the opportunity to include the small park near the canal. “Under Baron Von Haussmann during the 1850’s, Paris’s great boulevards were almost standardized with uniform seven-story high structures. This was known as the Grand Design, depicting elegance with its mansard roofs and dormers. “Masters of scale, our Disney designers have made our Paris buildings look much higher than its three-story layout. “The original Eiffel Tower in Paris, France was built in 1889 for the Paris Exhibition, and was the tallest structure in the world until 1930. There are as many stories about the France pavilion as there are artists and composers present throughout the pavilion. 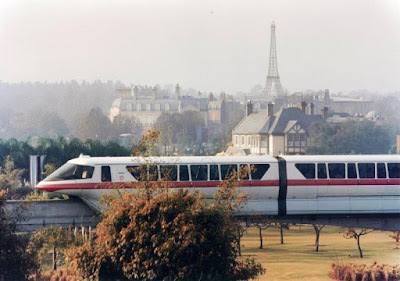 The document created for France’s Cast Members doesn’t share all of these stories, but it sets a great foundation for further explanation, even if their Eiffel Tower doesn’t have one! From windows to the river, the France pavilion is a masterclass of design.